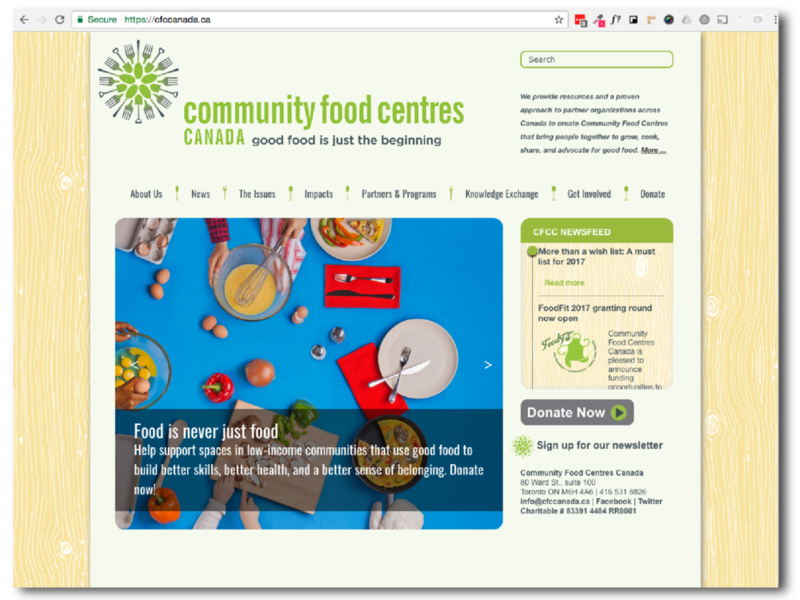 Community Food Centres bring people together to grow, cook, share, and advocate for good food. CFCC also works with the broader food movement to build greater capacity for impact and to empower communities to work toward a healthy and fair food system. Do you believe that our lower income neighbours deserve lesser quality food, less healthy food than our rich neighbours? We believe that healthy food is a basic human right. The reason we put CFCC as our number one, most favourite collaboration is because it is a multi-layered approach to addressing hunger. You get the healthy food; you get the social atmosphere; you get a holistic approach to complex food-related issues.